Eating a healthy breakfast is vital before conquering the day. Putting together a nutrition-packed meal doesn’t mean that you need to sacrifice precious time in the morning though. 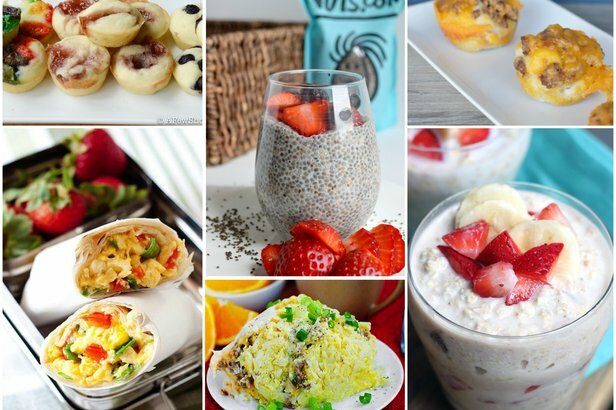 From muffins to yogurt bites and crunchy granola, these eight ideas will fill up your hungry family while helping everyone get quickly out the door, all on the right foot. Prep these frozen fruity yogurt bites ahead of time for a fast, grab-and-go breakfasts. 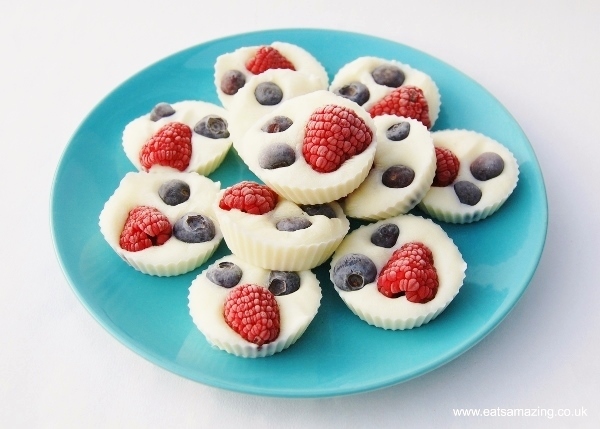 Pack them with your favorite fruit for a tasty treat. They’d also be delicious with a bowl of granola or on top of your family’s favorite cereal. The options are endless with these yogurt bites. 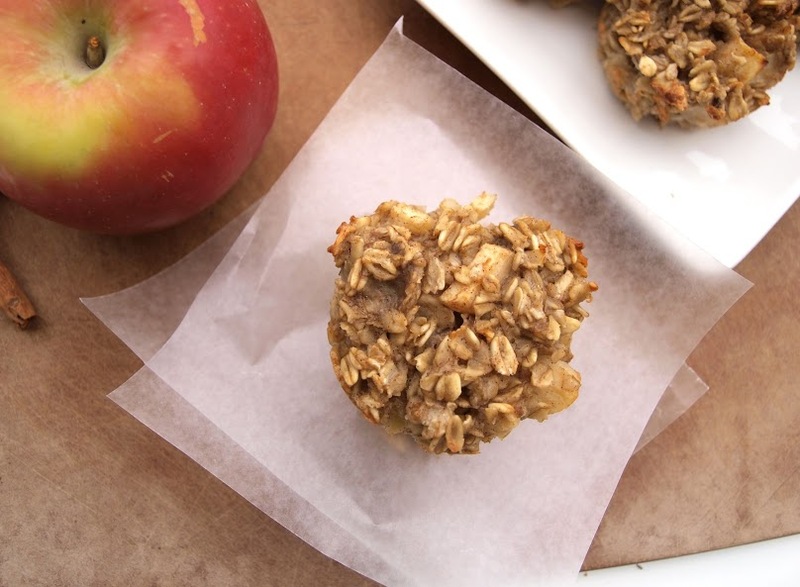 These gluten-free, dairy-free and nut-free apple cinnamon baked oatmeal cups are full of flavor and will keep you going all through the morning. Mix everything together the night before and bake in the morning for a hot oatmeal breakfast treat. Make a double batch and freeze for future mornings. 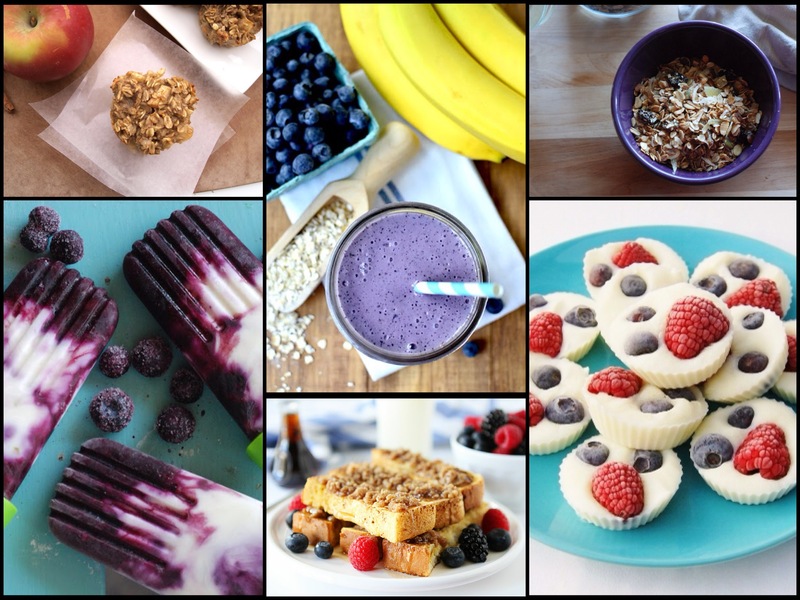 Love smoothies and blueberry muffins? 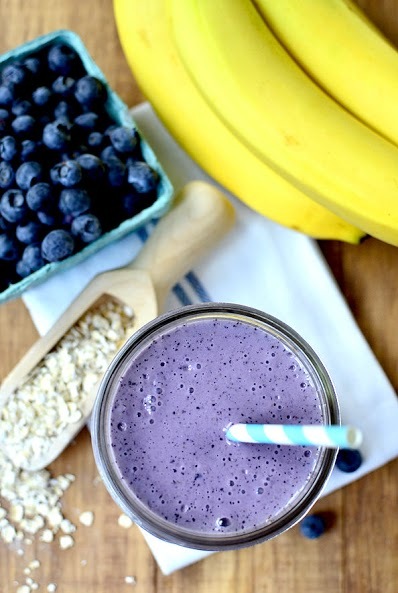 Try this blueberry muffin smoothie from Iowa Girl Eats for all the tasty goodness of a blueberry muffin with all the superfood goodness of blueberries and oats. Pack your blender with smoothie ingredients the night before for a quick whirl the next morning and before you know it, you’ll be headed out the door with a fruit-filled smoothie. 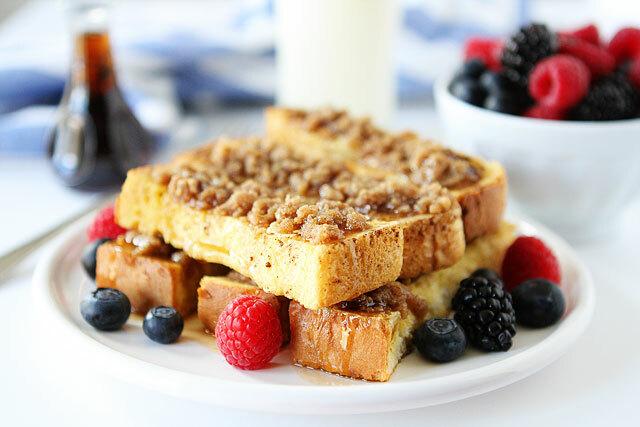 These cinnamon streusel baked french toast sticks are more of a treat than an everyday healthy breakfast but some mornings call for a sweet start. Load these up with some berries and this quick breakfast will have your kids whistling a happy tune as they head out on their way to school. Crisp, cool and refreshing are the name of the game with this breakfast idea! 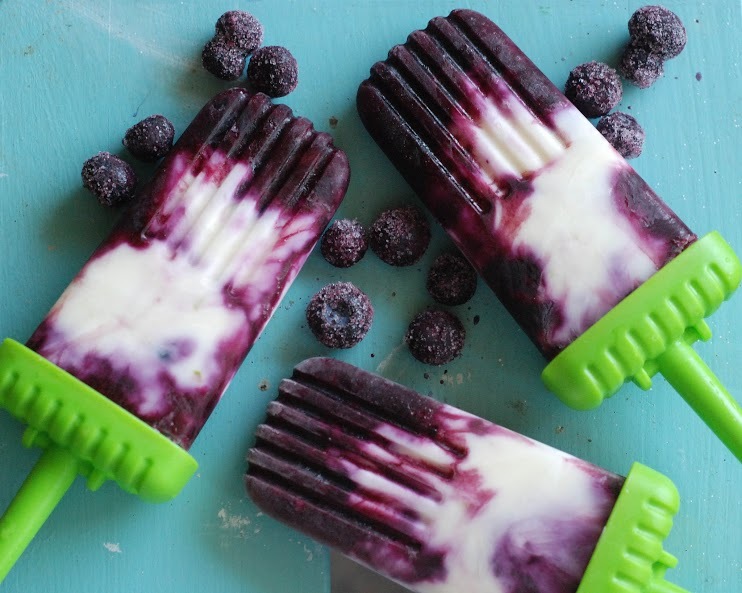 Perfect for hot, summer days and cool fall mornings, the blueberry lime yogurt popsicle is great way to get some fruit into your youngster’s diet with nary a fuss. They’ll think they’ve pulled one over while you are serving them a healthy dose of yogurt and berries. Switch out the blueberries for raspberries or blackberries for a delicious start to the day. Cookies for Breakfast? 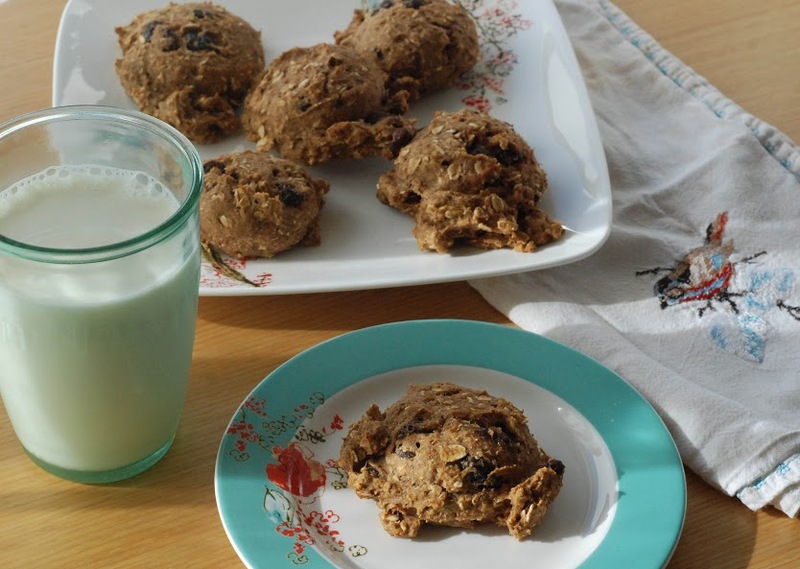 When they are stuffed full of healthy ingredients, pumpkin breakfast cookies are just the ticket! The oats, flaxseed and pumpkin puree rev up your morning while the raisins and pumpkin pie spice add a nice bit of sweet flavor. They are also a great way to use up any almost-too-ripe bananas that might be laying around the kitchen. Kids love food that comes on skewers and you’ll love watching them gobble up these fruit and waffle kabobs. 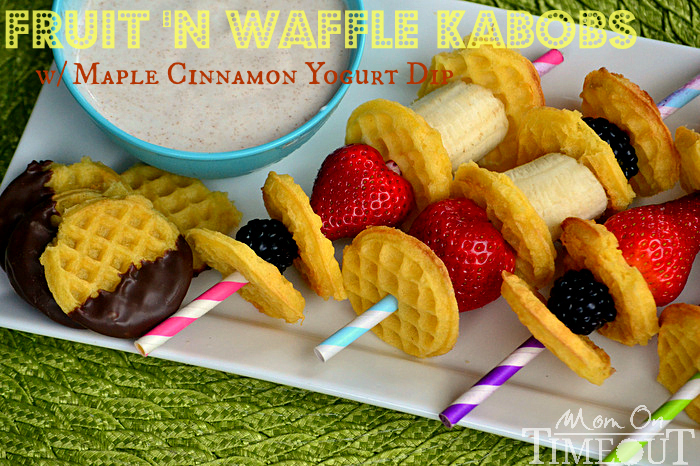 The maple cinnamon yogurt dip will be a hit and can easily be made in minutes. The greek yogurt adds a hit of protein for a good start to the day. Switch out the mini waffles for silver dollar pancakes and load up the skewers with your family’s favorite fruits. 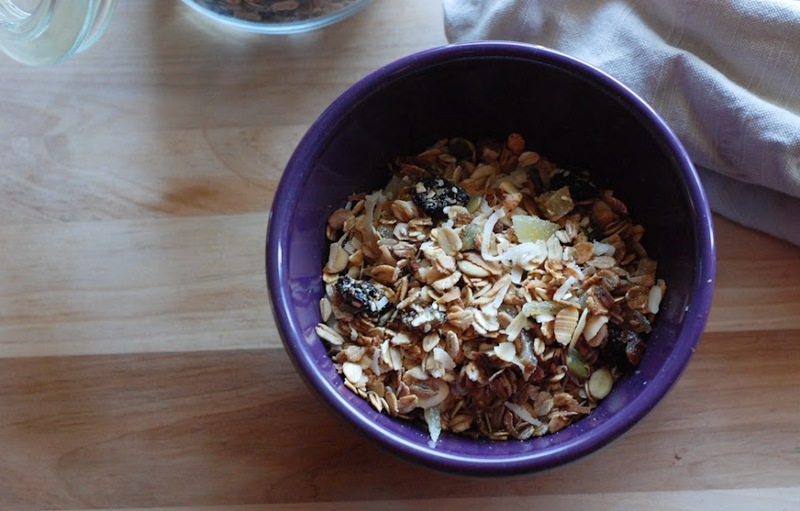 Sure, you can purchase granola at your local grocery store, but nothing beats homemade granola for a healthy and hearty breakfast. This method is a bit more hands-on than most granola recipes but the results can’t be beat. By toasting most of the ingredients separately, you end up with an evenly flavored cereal and not one with burnt bits scattered throughout. Serve with your favorite yogurt, fruit or even just milk for a great morning meal. 3. Spread coconut on a baking sheet and place in the oven until lightly toasted, about 8 minutes. Watch carefully as coconut can go from toasted to burnt quickly. 4. Mix rolled oats, Bob’s Red Mill 5-grain rolled cereal, flax seeds, chai seeds, canola oil and maple syrup together in a large bowl. Throughly mix to ensure the oil and maple syrup coat the oats. Spread on a baking sheet and toast for about 20 minutes. 5. Mix all ingredients together (except dried fruit) and spread back on a large baking sheet. Toast for another 20-25 minutes. 6. Remove from oven, let cool. 7. Once cooled, stir in dried fruit and push with salt. Store in a cool, dry place for up to 2 weeks.